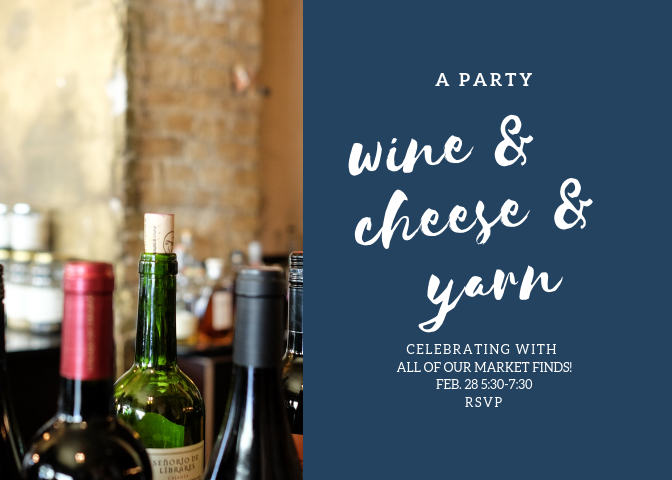 Come celebrate our new yarns with wine and cheese! Mitzi and Pam just got back from Portland (wine country!) with a whole haul of gorgeous yarns from Market. You'll be the first to see them at our soiree!